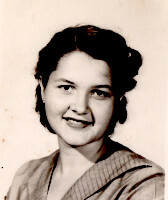 On this date the 4th of September in 1997, Emily’s mother-in-law, Peggy Hester passed away in Jackson, Mississippi. Though she passed away before Emily was able to meet her, she left behind a number of hand-written recipe cards, newspaper articles and family photo albums, making researching family history so much easier. She was preceded in death by her parents Frank L. Holliday, Jr. and Dorothy Ogle Holliday, and brother Lewis Stevens Holliday. Survivors included: husband James W Hester, Sr., son James W Hester, Jr. of Jackson, sisters Dorothy Vance of Raymond, and Maxine Wooten of Laurel, Mississippi.